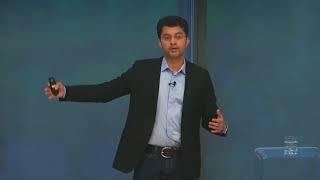 Drawing on his extensive research in the United States, Europe, and Asia, and on a variety of real-world examples from companies including Alibaba, China Mobile, Coke, Facebook, SK Telecom, Telefónica, and Travelocity, Ghose describes some intriguingly contradictory consumer behavior: people seek spontaneity, but they are predictable; they find advertising annoying, but they fear missing out; they value their privacy, but they increasingly use personal data as currency. When mobile advertising is done well, Ghose argues, the smartphone plays the role of a personal concierge—a butler, not a stalker. Mobile technology has become a cornerstone of the global economy. But its full impact – and potential – has not yet been realized, by consumers or businesses. Anindya Ghose is helping corporations globally, both better understand and capitalize on the game-changing power of mobility and Artificial Intelligence. Widely considered the leading global expert on the mobile economy and how it is affecting customer behavior, Ghose is Heinz Riehl Chair Professor of Technology and Marketing at New York University's Stern School of Business. He is also the director of the school's Masters in Business Analytics program. 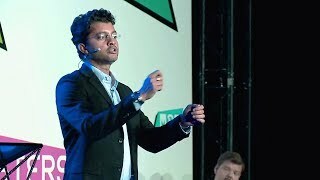 Named to the Thinkers50 2017 Radar list of up-and-coming management thinkers, the "Top 40 Professors Under 40 Worldwide" (Poets & Quants) and the "Top 200 Thought Leaders in Big Data and Business Analytics" (Analytics Week), Ghose is making big and quick strides in both academia and business. He focuses his work on economic issues and consumer behavior as it relates to the internet, mobile, digital marketing, big data, and business analytics. He has researched, and written, taught and spoken about the digital transformation of business and society for almost 15 years. He analyzes and makes sense of product reviews, reputation and rating systems, wearable technologies, mobile commerce and mobile advertising, crowdsourcing and online markets, and more broadly on digital technologies that are transforming markets and industries. In his book TAP: Unlocking the Mobile Economy (MIT Press, April 2017) – double winner of the 2018 Axiom Business Book Awards – Ghose discusses why it is time to seize the opportunities created by the global prevalence and dependence on smartphones. His insights empower readers to tap into nine forces shaping the mobile economy, resolve consumer behavioral contradictions and delight consumers all at the same time with a mobile strategy. A patent-owner and entrepreneur, he is also the advisor to several startups globally in the US, India, Hong Kong, Singapore and elsewhere. 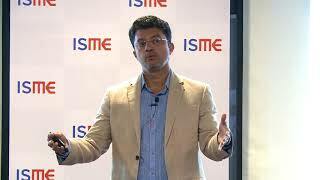 Ghose has consulted and worked in various capacities with numerous Fortune 500 firms in the U.S., Europe and Asia, including, Adobe, Apple, Alibaba, Berkeley Corporation, CBS, China Mobile, Dataxu, Facebook, Google, IBM, Indiegogo, Microsoft, NBC, Samsung, Showtime, SK Telecom, Travelocity, Via and YelloMobile among others. He teaches courses on digital marketing, and business analytics in the U.S., Europe and Asia. The youngest recipient of the prestigious INFORMS ISS Distinguished Fellow Award, Ghose and his work are consistently recognized. His research has been honored with 16 best paper awards and nominations; he is also the winner of the highly prestigious NSF CAREER award. Ghose has published more than 100 papers in premier scientific journals and conferences, and has been awarded 14 research grants from Adobe, Google, Microsoft and several other corporations. Additionally, he is a frequent and revered speaker, and has delivered more than 200 talks internationally. Ghose is also a sought-after source for expert insights and perspectives by top media platforms; his expert commentary has been featured in all the top business and mainstream outlets, including The Economist, Financial Times, Forbes, New York Times, NPR, TIME, Wired, Washington Post, and Wall Street Journal. He has spoken on NPR and Marketplace Radio shows, and appeared on television shows around the world, including those on BBC, Bloomberg TV, CNBC, PBS, Korea Broadcasting System, NHK World Japan and Xinhua TV, China. Ghose, who has been a visiting professor at the University of Pennsylvania's Wharton School, serves on the Research Council of the Wharton Customer Analytics Institute, and is a faculty affiliate with the Marketing Science Institute. 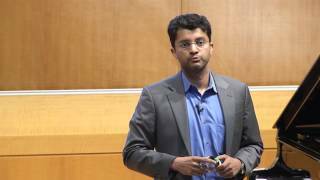 Before joining NYU Stern, Ghose worked at GlaxoSmithKline, as a product manager in HCL-Hewlett Packard and as a senior e-business consultant with IBM. The mobile economy is at a global tipping point – mobile is the future of business and that future is here. Anindya Ghose is helping corporations globally, both better understand and capitalize on the game-changing power of mobility. Drawing from his award winning and best selling book, "TAP: Unlocking the Mobile Economy" (2017, now translated into multiple languages), Professor Ghose will empower leaders to tap into the nine forces shaping the mobile economy. Ghose discusses why it is time to seize the opportunities created by the global prevalence and dependence on smartphones. His insights empower readers to tap into nine forces shaping the mobile economy, resolve consumer behavioral contradictions and delight consumers all at the same time with a mobile strategy.Whether marketing products or services in telecom, retail, banking, e-commerce, healthcare, manufacturing, or hospitality, Ghose expands audience's current understanding of how mobile is shaping the digital economy and prepares them for its future. The future of retail is incredibly bright, but we are only at the beginning of the big shift that comes with mobile digital connectivity. Massive technological disruptions, tied to major changes in consumer behavior, are altering the rules of the retail space. As consumers spend more time shopping on their mobile devices, they will come to expect a seamless experience between digital and in-person. Brick-and-mortar businesses have a huge opportunity to incorporate mobile to carve out a valuable space for themselves, even in the face of the growth of subscription-based platforms. Don't get left behind. You've got data. So what? Everyone has data. The question is: How are you going to turn that data into innovation? The solution is through Artificial Intelligence. AI lives at the intersection of business and technology, deeply embedded in a culture of data and analytics. As a strategic asset, AI offers many organizations a differentiator and a competitive advantage. How should organizations be thinking about data-driven decision-making using AI? When do firms need it and when can they do without it? Ghose helps you navigate the complicated and the unknown world of AI and data analysis, from culture to strategy to new business opportunities. How are you thinking about digital marketing? What are the challenges you face? How do you decide which resources to invest? Anindya Ghose answers these questions and shares best practices for digital marketing, from top-level strategy to analytics-oriented tools and how they can improve your organization from the ground up. Thriving in today's digital-centric environment requires understanding the current mega-trends of digital disruption. Based on your needs, this presentation can be customized to focus on the creation and execution of your organization's comprehensive digital marketing plan. Blockchain can make data-driven marketing more transparent by validating and analyzing every consumer's journey through verified ad delivery, confirming that a real person saw the ad as per the specifics of a media contract. Marketers will able to control how their assets are delivered by monitoring exactly where their ads are being placed, alleviating ad fraud from automated bots by ensuring that real followers and consumers are engaging with their ads, and ensuring proper ad engagement tracking that will lead to more precise digital attribution. The advent of blockchain technology also offers tremendous potential for giving consumers a transparent look at how their data has been used by marketers and advertisers. This will likely give rise to markets for consumer data that will not only give users a transparent look at how their data has been used by advertisers, but will also give them more control over how their data should be used.